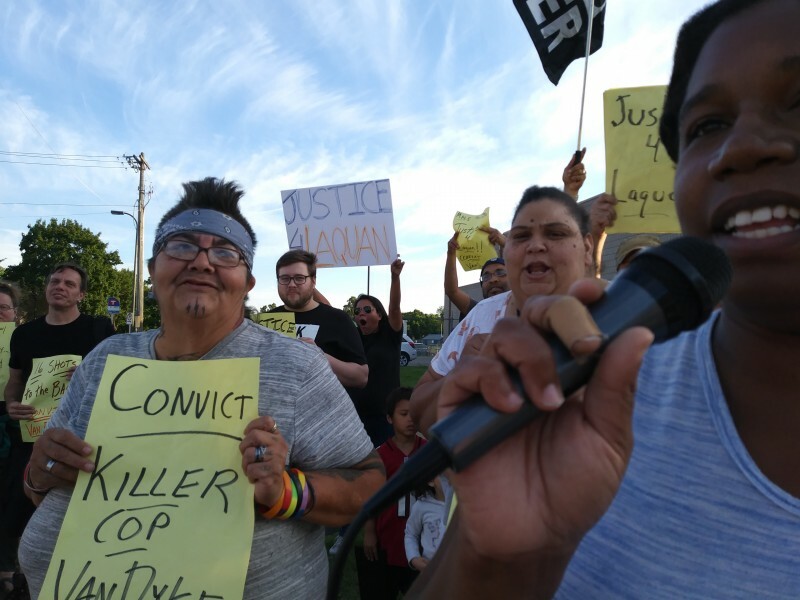 Twin Cities rally demands justice for Laquan McDonald | Fight Back! Minneapolis, MN – A rally coinciding with the opening day of the Chicago murder trial of Jason Van Dyke, the white cop who killed Laquan McDonald, took place in north Minneapolis, Sept 5. The protest was one of many taking place across the U.S. to demand justice for Laquan McDonald and community control of the police. The rally was organized by the Twin Cities Coalition 4 Justice 4 Jamar.